If you are tall and if you have a slim figure, there is no need to worry. You can wear a bridal gown of just about any style. If you have an hourglass figure, meaning your bust and your hips are in proportion and you have a defined waist, you could go for a V-neck bridal gown with an A-line skirt. The V-neck of your bodice can accentuate the fullness of your bust while an A-line skirt can look poofy enough without making your hips look too wide. If you have a pear-shaped figure, meaning your body is bottom-heavy and your hips are wide, you should wear a bridal gown with a few extra details on the bodice and an A-line skirt. The detailing on your bodice, be it beadings or embroidery, will draw the eyes to your bust while de-emphasizing your hips. An empire-style gown with a draping skirt would look nice too. If you are short and with a very slight figure, you need a bridal gown that will create the illusion of a fuller figure. You could go with an off-shoulder dress with a shawl-like collar and a skirt that flares out from below the middle of your thighs. 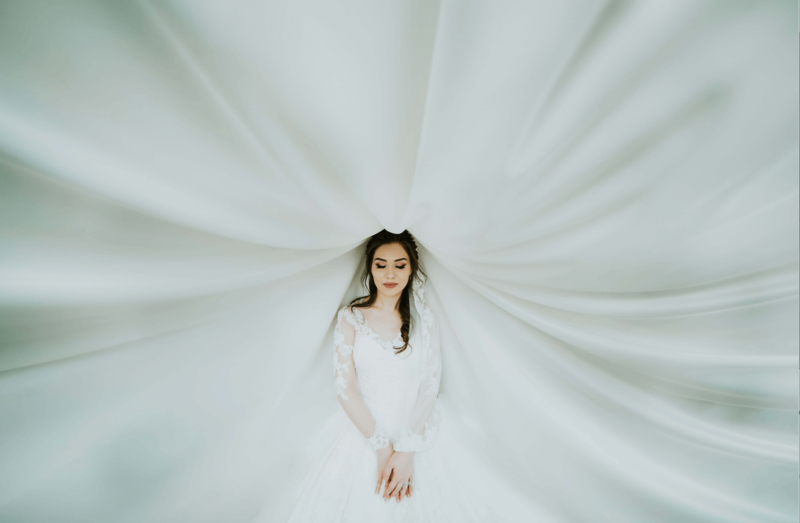 As much as you need to take your time when choosing the perfect bridal gown for you, if you fall in love with a specific dress and know that it is the one for you, end your search and buy the dress without hesitation. If you leave the store without buying that bridal gown, some other bride will find it and any bridal gown you choose later on will only be a poor second. Next PostNext Planning Colors for Your Wedding: Wedding Dresses, Flowers, and More!